Designed to bring 4G LTE to more people in more places, Qualcomm’s 205 Mobile Platform combines a host of features to deliver performance for the sub-$50 (roughly INR 3,000) feature phones, popular in emerging markets as India, Latin America, and South East Asia. Its Integrated X5 LTE modem enables up to 150 Mbps download, 50 Mbps upload speeds. As the need for feature phones (most of which function on old 2G and 3G frequencies) to get onto modern networks becomes necessarily dominant, this feature unveiled in the form of newly launched SoC becomes quite significant. Apart from 4G LTE and VoWifi support, the specifications include support for 3G and 2G networks, Wi-Fi 802.11 b/g/n, Bluetooth 4.1, FM radio, GPS, GLONASS, Beidou with dual-SIM configuration support. The Qualcomm 205 SoC sports a dual-core CPU clocked at 1.1 GHz. It further features a support for up to 3-megapixel rear and selfie camera, boasting of a VGA display at 480p. It also brings support for HD video streaming and Linux-based OS. The Platform being pin-compatible with the Snapdragon 210/212, the chipset could easily be used on existing designs without any hassle. 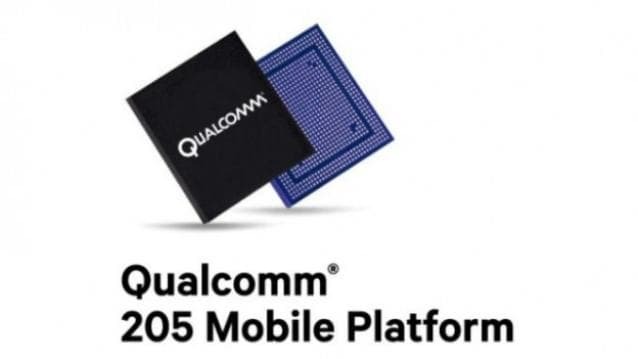 The Qualcomm 205 Mobile Platform will be currently available for OEMs and ODMs, and the devices sporting the same would start retailing in the market from second quarter of 2017.